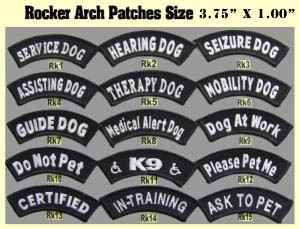 Our Smaller Specialty Patches are designed to fit smaller dog vests. 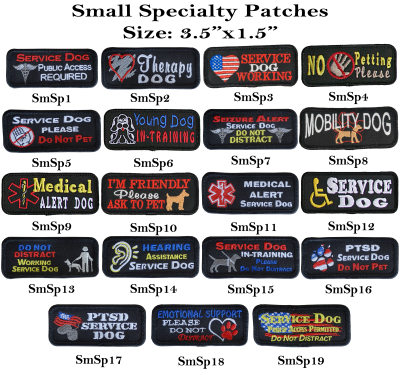 These colorful specialty patches are very visible on your dog's vest, your clothing, or gear bag. We use polyester, high sheen, embroidery threads because they are much stronger and are more resilient than rayon threads. We have backed these patches so they can be ironed on or stitched on. To see larger photos of these patches, click on the Patch & Clothing Photo Button on the blue bar to your left.